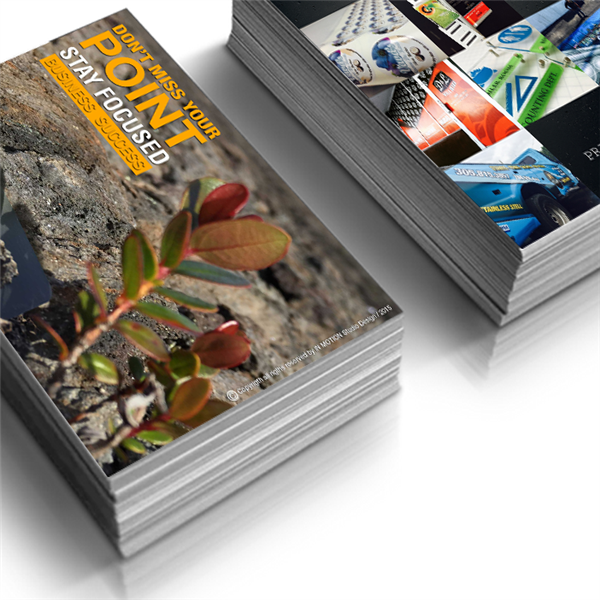 Catalog > DIGITAL PRINTING > BUSINESS CARDS > SILK+SPOT UV PLASTIC LAMINATED BUSINESS CARDS 16pts. > 1 SIDE SILK + SPOT UV PLASTIC LAMINATED Business cards 16pts. 1 SIDE SILK + SPOT UV PLASTIC LAMINATED Business cards 16pts. 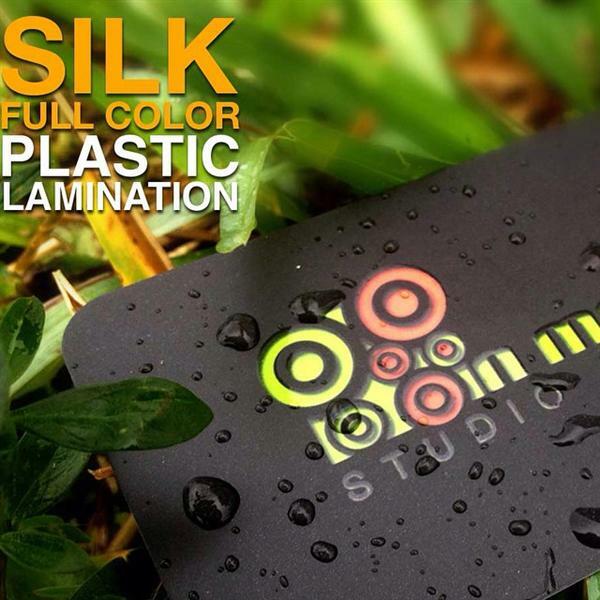 Plastic Silk + Spot UV Business Card improves the image of your company. Give the needed presence to your company, use Silk Business card. 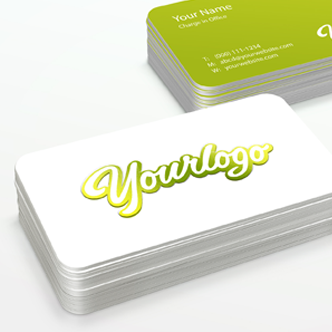 Business cards can be a very powerful source of advertisement, yet this method is often over looked by many companies. These cards can be designed anyway you would like. You may choose to include your company's logo, business name, phone number, website address, physical address, or anything else that you see fit to include. When business cards were first discovered, they could be rather expensive to use. Most printing companies would actually charge per letter, as well as the type of paper used, and of course the chosen back-ground. Over the years, the price has come down quite considerably, and the options available for designing have grown widely. Now you are the creator, you have full control of the color- selection, wording, and size of the letters, back-ground picture, and paper type. Full Color Business Card Printing Advices. Full color business card printing isn’t just an option for the big budget business modern printing methods have made full color business cards available to everyone! You don’t need a lot of money to look like a million bucks all you need is www.inmotionsd.com! At IN MOTION Studio Design our proven track record and printing methodology are aimed at one goal giving you the full, rich color you need to stand out in today’s hectic business market. Full color, double sided business cards are the perfect way to send the message that you take your service or product seriously invest in the future of your business! Trust the printer with the record to back it up, and the customer service you deserve trust Inmotion.com for all your business card needs. Custom Business Card Design Advices. At Inmotionsd.com, custom business card design isn’t just our business it’s also our passion. We believe in good design, aesthetic, clean design, functional design and communication design. Why? Because we know as well as you do that business cards are the cheapest, quickest and most effective way to get your message out there to the world. Business cards aren’t just nice to have they’re critical to the success of your business. Without them, how will potential customers or clients get in touch with you? 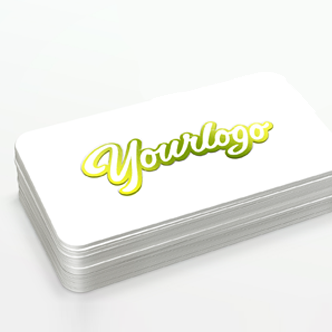 Without the “leave behind” power of business cards, your business will be left in the dust. Don’t fall behind the competition! Trust in the reliability and accessibility of business cards, and watch your business grow and grow. The business card is the images of your company, even your personal too when you left behind a client. Professional Business Card Printing Advices. At IN MOTION Studio design, professional business card printing isn’t just our job it’s our biggest passion. We understand that business cards aren’t just a nice thing to have they’re a vital tool, perhaps the most vital tool in your business arsenal. Without business cards, potential clients and customers will have no way to follow up on initial contacts or get in touch with you about engaging your business. Face it: you need business cards. So at IN MOTION Studio Design we give you the business cards your business needs at a price you’ll love. We use both Silk matte lamination and UV glossy; we can also applied spot UV over the Silk matte lamination and print color double sides color. We don’t stop until you get what you want, when you want it. Call us today! Quality Business Card Printing Advices. You can’t afford to skimp on quality, but you can’t afford to break the bank! Why not have both? With Inmotionsd.com you get the quality you need at prices that are so low you’ll think we’ve made some kind of mistake! You’re not dreaming, though our prices are low. At Inmotionsd.com, we understand that quality is your highest priority. It’s also ours. We know that your business cards are your business identity we won’t rest until your work is perfect. Talk to us. 2 SIDE SILK + SPOT UV PLASTIC LAMINATED Business cards 16pts.